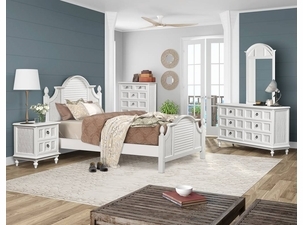 Wicker bedroom furniture made by Wicker Paradise utilizes the finest of materials and cabinet making techniques. Our factory starts with kiln dried wood and then hand crafts each wicker nightstand with the finest of natural materials. Our rattan chest of drawers are installed on a roller system that ensures many years of effortless operation and carefree use. 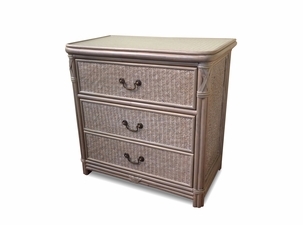 The Elana white wicker bedroom furniture is hand woven on a wood frame and is our best selling collection. 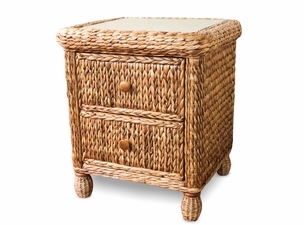 Whether you are in the market for a wicker dresser or a rattan nightstand buy from us and you will discover why Wicker Paradise is Where the Smart Shopper Buys!